Learning how to tie your shoes. Proven at the time to be the most difficult task for your tiny hands and butterfingers…That was until a knight in shining armour taught you how to loop the bunnies under the bridge. This could be the same for a hard hearing or deaf child, who desperately needs a knight in shining armour to help them loop the holes in their education. Here are 3 reasons why a BSL interpreter could be a knight in shining armour to a hard hearing or deaf student at your school. 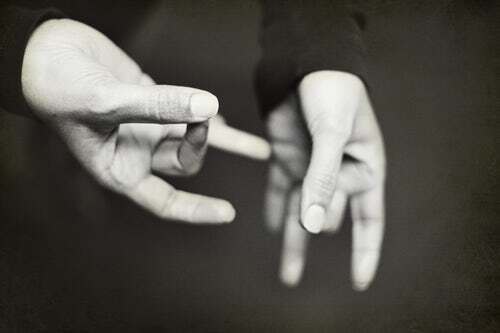 BSL Interpreters can guarantee a stable and well communicated relationship whilst still being strictly professional. This is important to rule out any breakdown of communication. This can lead to the upsetting of the student and make them feel like they’re being treated differently. Unlike specialist schools, interpreters believe it is important to have mutual respect and trust between them and the student to make their school life much more smooth and enjoyable. Interpreter services are able to translate on the spot which helps your student keep up with their classmates, making them feel more actively involved. This is extremely important as it makes them feel less alienated and no different to others, a BSL interpreter could bring out your students “inner Einstein”. 2. Confidence in tying their shoes. An Interpreting service can actively help your student overcome difficulties along the way. Building bridges to encourage them to become more articulate and most importantly excel in their studies. They will beam with confidence and enthusiasm. Interpreting can be beneficial to teachers at your school as well as the student. Your Teachers will still be able to conduct normal lessons which add to the student feeling more able and confident in the classroom environment and school in general. This leads to more successful learning, which is shown in their grades and acceleration in their studies. Having an interpreter for your student, no matter the age, means they have a more confidence driven and personal school life. Learning is one of the most important aspects to lifelong well being, but sometimes it can be proven difficult and expensive to deaf or hearing impaired students in school. Students will need a well communicated trustworthy peer who will be able to help them in their studies, provide a unique relationship and help to assist them through the most essential part of their lives. Unlike specialist deaf schools, where the lack of teachers can lead to miscommunication and no drive; this can spiral into a downfall where a student feels helpless, desperate and alone. However, the trusted character of a punctual, educated interpreter at your school gives the student a positive outlook and makes them feel happy to be learning the same as others, amongst your school community. Many BSL interpreters love their job, and feel accomplished watching a child who is hard hearing or deaf have hope for their education and future. The interpreter’s role will always be changing and growing as the student grows wiser, older and into their own person. How can language direct help you find your knight? Here at Language Direct we want to make sure deaf or hard hearing students feel accomplished and achieve the best grades possible at your school. Having almost 20 years experience in the public sector, we can guarantee your students will reach their full potential with our BSL interpreters. The professional help you need for your schools students can be at your fingertips with us, ticking every box you have. Children’s education is at most importance here at language direct; making sure our interpreters can overcome hurdles alongside the student. We want to ensure your student creates and grows mindfully; so our trustworthy allocations can guarantee you will have the same interpreter for your school whenever they are needed. Promising the familiarity of the interpreter will build a strong reliable relationship between them and your student, which is a principal to this service. Our amazing set of trusted BSL interpreters is finely picked for your specific needs to ensure good customer service and satisfaction for you and student. Language direct have a passion for helping, with hundreds of satisfied customers. Start today, get a free quote.